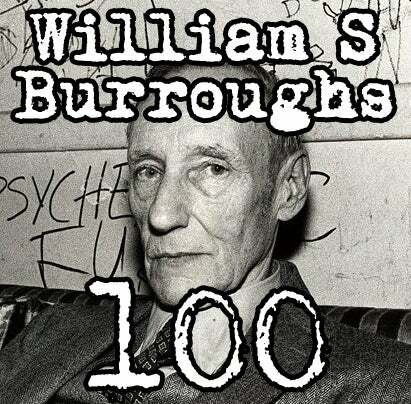 Limited edition William S Burroughs lithograph print to celebrate the Burroughs centennial. 'Untitled' is based on the original WSB art work created with Flourescent red, brown, white calligraphic spray paint marks. A2 Lithograph print with 4 colour ink on archival paper 320gsm. With stamped and signed Certificate of Authenticity from Burroughs Estate.